Trees & Power Lines | Poudre Valley REA, Inc.
PVREA members' and employees' safety is first and foremost. Every year people are injured or even killed when they climb or prune trees near power lines. This is why PVREA and other electric utilities are required by law to maintain our right of way to ensure a safe and reliable flow of power to homes and businesses. Never climb into a tree that is near or contacting a power line. Never bring anything within 10 feet of a power line. Maintaining right-of-way clearances is necessary to provide safe and reliable service. PVREA utilizes its own tree trimming crew and contractor crews to clear trees and brush along the right-of-way of our power lines. PVREA's tree trimming plan is on a 3-year rotation. 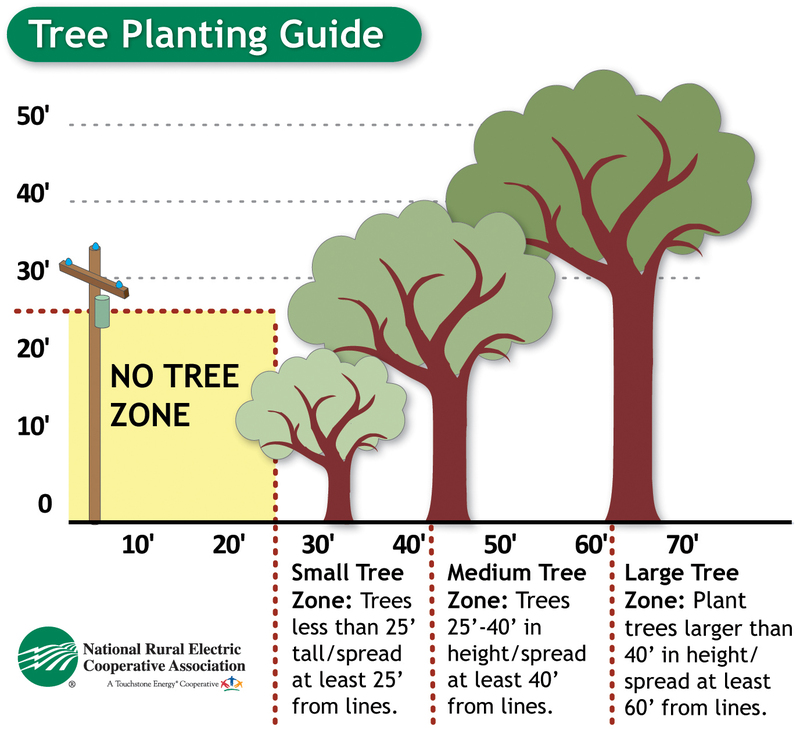 A tree close to a power line may come in contact with the line and will eventually grow into the power line. You should never trim this tree yourself. Poudre Valley REA will send a specially trained crew with the proper tools and equipment to trim or remove the tree. If you feel that you have trees that need to be trimmed or removed because they are too close to our power lines, please call our office at 1-800-432-1012 or fill out our request form and we will have our tree trimming crew work with you to resolve the problem.